Aw shucks! :) I have a backyard loaded with these weeds. They are pretty, huh. 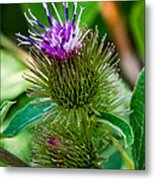 To most people, Burdock does not offer a particularly pretty sight, though some might be impressed by its sheer size: burdock can grow more than to 5 foot tall and its huge, expansive, heart-shaped leaves can reach over a foot in length. A distinctive and unmistakable plant, burdock certainly ranks among the tallest and most space consuming herbs, sporting extraordinarily big leaves as well as the stickiest burs. Yet, considering its many values, not the least of which is that it gave the inspiration to the invention of Velcro, it appears to be chronically undervalued. 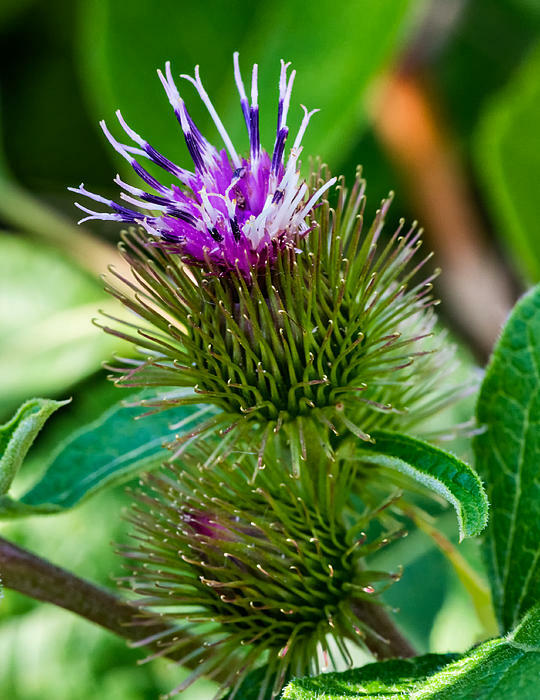 Burdock is rarely welcome in any yard, much less in carefully groomed gardens, though at least the bees and butterflies appreciate it for its generous supply of nectar. Source: Wild Edible and Medicinal Plants.